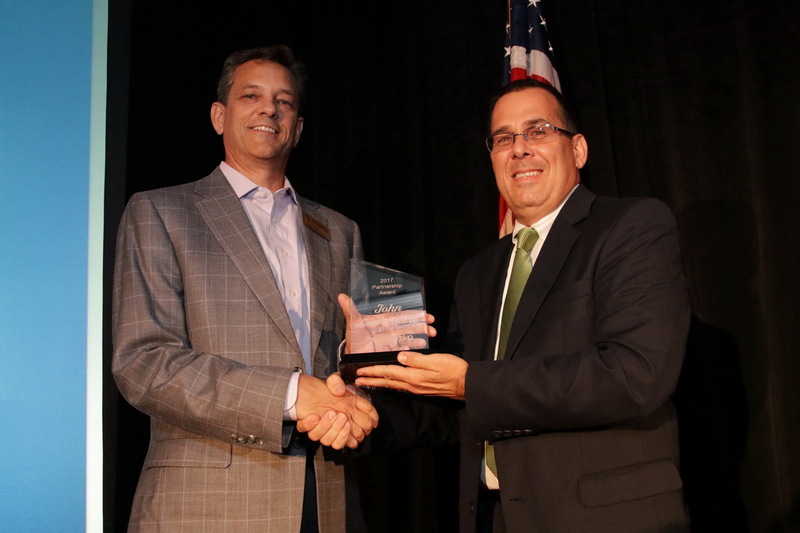 The Southwest Florida Regional Technology Partnership (RTP) has announced the winners of the 9th annual Technology Awards. CenturyLink is the Pinnacle sponsor of the RTP and the Premier sponsors are Hertz, eMaint and 21st Century Oncology. 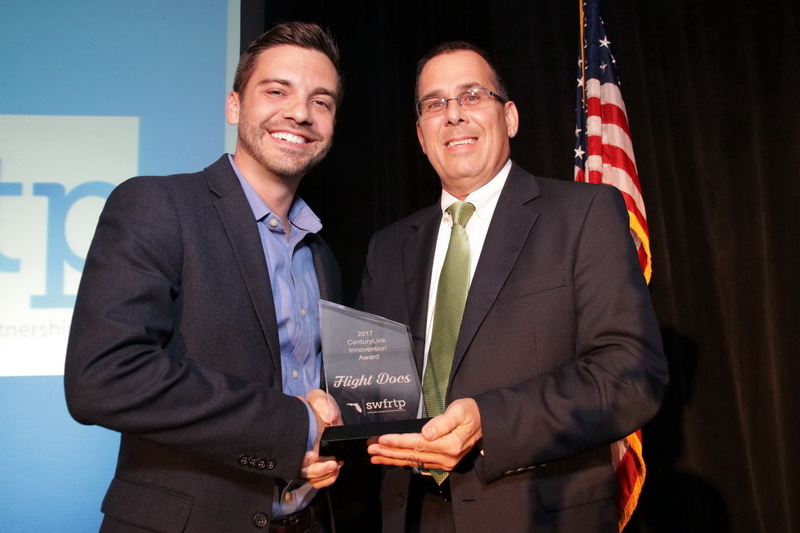 The winner of the CenturyLink Innovention Award given to a company that has invented or demonstrated an innovative and creative technology solution is Flight Docs for their industry leading aircraft maintenance software platform. Onward Technology Solutions was also a finalist for this award. 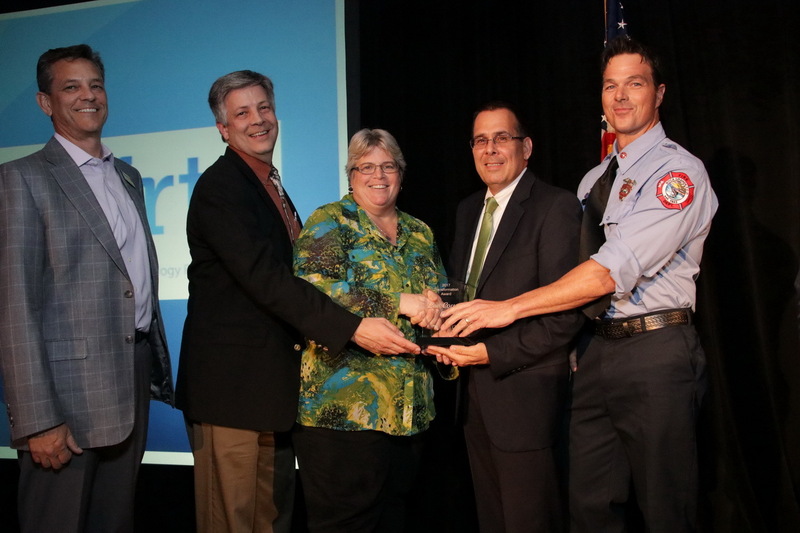 The winner of the Transformation Award for a business that has achieved success through implementation of information technology to overcome a challenge is Lee County Geographic Information Systems for development of life saving technology techniques for local search and rescue emergency responders. Smart Industries and Lee County Port Authority were also finalists in this category. The winner of the Woman in Technology Award to recognize contributions made by women in technology through professional expertise and leadership is Wendi Fowler, President, The Client Server. The other finalists were Jennifer Pellechio, Chief Operation Officer, Economic Incubators Inc.Naples Accelerator and Rita Davis, Director Adult and Career Education, Lee County School District. The winner of the Partnership Award which recognizes a RTP member who has contributed to the success and growth of the mission of the Partnership is John LaFreniere, Vice President, Global IT Architecture, Hertz. The other finalists were James Sampel, Chief Information Officer, Alico Inc. and Charles Starnes, Chico’s FAS. The Southwest Florida Regional Technology Partnership (RTP) has announced the finalists for the 9th annual Technology Awards Dinner. CenturyLink is the Pinnacle sponsor of the RTP and the Premier sponsors are Hertz, eMaint and 21st Century Oncology. "This year's awards finalists represent some of the best technology developers, implementers and influencers in southwest Florida," said Marc Farron, President, RTP. "We look forward to showcasing and celebrating their accomplishments at our awards dinner." 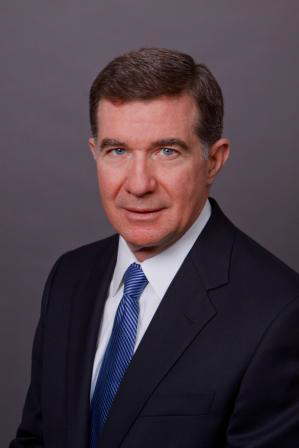 R. David (Dave) Mahon, chief security officer, CenturyLink, Inc. and former supervisory special agent with the Federal Bureau of Investigations will be the keynote speaker at the 9th annual Technology Awards presented by the Southwest Florida Regional Technology Partnership (RTP). Mahon’s presentation will be “Cybersecurity - Best practices and proactive strategies to mitigate threats.” The awards dinner is May 17, 2017 at 5:30 p.m. at the Crowne Plaza at Bell Tower Shops in Fort Myers. 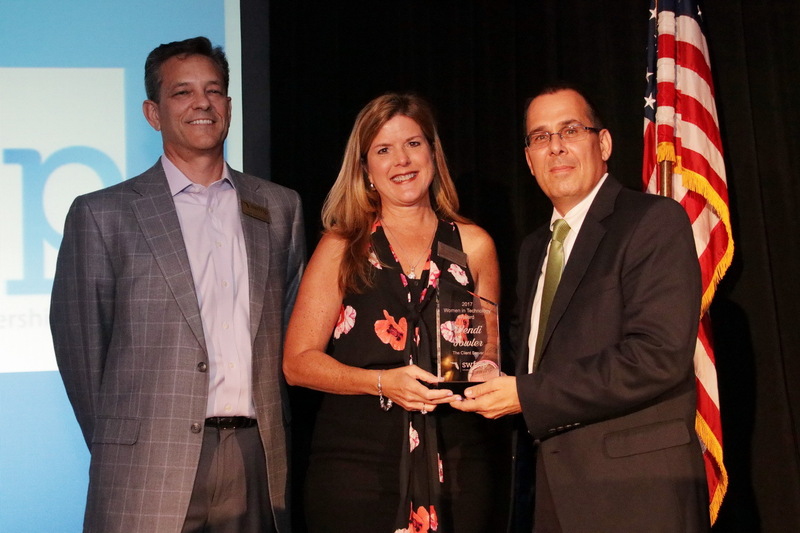 The RTP produces the only technology awards event in southwest Florida and recognizes businesses and professionals with awards for Innovention, Transformation, Women in Technology and Partnership. CenturyLink is the Pinnacle sponsor of the RTP and the Premier sponsors are Hertz, eMaint and 21st Century Oncology. Tickets are available at www.swfrtp.org until May 12. Mahon’s presentation centers on understanding that breaches will occur and how security executives must work with senior leaders and boards of directors to assess value, measure costs, and identify risk to then properly architect and implement a comprehensive security program. Topics will include perspective from a board of directors, balancing threats versus compliance, dealing with ever increasing regulatory and litigation actions and how to develop a cyber risk management strategy. Mahon was appointed chief security officer for CenturyLink, Inc. in April 2011. He is responsible for enterprise wide security strategy, information security, cyber defense, critical infrastructure protection, physical security, network fraud and abuse, industrial security, international travel security, threat intelligence, workplace violence prevention, executive protection, investigations, and liaison with the National Security Telecommunications Advisory Council (NSTAC), National Cybersecurity and Communications Integration Center (NCCIC), as well as federal and state law enforcement and homeland security agencies. Before the merger with CenturyLink, Inc., Mahon was the vice president of corporate security for Qwest Communications International, Inc., from August 2006 until March 2011 and responsible for similar corporate security programs that he is currently responsible for at CenturyLink, Inc. Prior to his corporate security positions, Mahon was a supervisory special agent with the FBI and responsible for investigating violations of federal statutes in which the Internet, computer systems and networks were exploited as the targets of terrorist organizations, foreign government sponsored intelligence operations or criminal activities. During his career with the FBI, he also managed programs related to white collar crime, crisis management, critical infrastructure protection and violent crime. Mahon received a Bachelor of Science in business administration from the University of Scranton. He holds numerous certifications from the FBI and the Kellogg School of Management. He is a member of the U.S. Department of State’s Overseas Security Advisory Council, International Security Management Association, Telecommunications Security Association, Domestic Security Advisory Council, and Society of Former Special Agents of the FBI. When: February 15, 2017 at 11:30 a.m. Lunch will be available for $10.00 per person. SWFRTP, a member of Lee County's Horizon Council, is the only organization dedicated solely to promoting the growth of the technology sector in SWFL. Naples, Fla. (February 9, 2017) - In partnership with the Regional Technology Partnership (RTP), SkyLink Data Centers will host an all-access tour and networking event on February 23 from 5:30 p.m. to 7:30 p.m. at 801 Orchid Drive, Naples, FL 34102. The tour is limited to 40 people and online registration is available at www.swfrtp.org. The catered event is free for RTP members and $25 for future members. SkyLink has been named to CIO Review's 20 Most Promising Data Center Solution Providers for 2016 and is one of the most wired buildings in southwest Florida. The state of the art technology center stands as a fortress along the Tamiami Trail and is the only HIPAA Compliant data center between Tampa and Miami. Attendees will be eligible for discounts and prizes for SkyLink including a virtual private Windows server 2012/2016, with 4 vCPU, 8GB RAM, 100 GB SSD Storage and includes managed firewall service, 5Mbps unmetered Internet and one outside IP address. The Southwest Florida Regional Technology Partnership (RTP) was chartered in 2008 and is a member of Lee County’s Horizon Council. It is the only group dedicated solely to the growth of the technology cluster in southwest Florida. The RTP is comprised of technology companies and technology users, economic development groups and higher education institutions. Through its strategies of catalyze, cultivate and connect, the RTP produces educational seminars, career forums, professional networking events and the only regional awards program dedicated to technology development and implementation. Membership and sponsorship information is available at www.swfrtp.org. SkyLink Data Centers is a full-service co-location hosting and managed services provider serving more than 40,000 users worldwide. 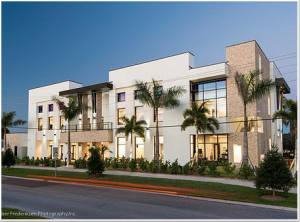 The Naples, Florida headquarters is the only PCI and HIPAA compliant data center in southwest Florida and the only vendor neutral facility between Tampa and Miami. Learn more at www.skylinkdc.com. Thursday, July 21 from 8 a.m. to noon at the Holiday Inn, Fort Myers Airport, 9931 Interstate Commerce Dr. The event is free and a light breakfast will be provided. Registration is requested due to limited space. Register HERE. This year’s fair will bring business owners face-to-face with traditional and non-traditional lenders, including a speakers’ panel discussion on SBA loans, non-traditional financing, and crowdfunding. Panelists include: Skip Soper of Small Business Lending; Pam Tedesco of Access Florida Finance; Miguel Gonzales; with the Small Business Administration; Dieter Kondek, CEO of RocketLounge; Steve St. Clair with Florida Capital Bank; and Krishan Arora, founder of The Arora Project. Arora will be hosting a special session on “How to Launch a $1,000,000 Crowdfunding Campaign: Acquiring Non-Dilutive Capital to Grow Your Idea.” He has raised more than $3 Million on Kickstarter and Indiegogo for several businesses. Having been the lead strategist of many large crowdfunding projects, Arora has created a detailed curriculum on how to be successful in the crowdfunding world and is currently developing a crowdfunding accelerator program. Participating bank sponsors include: Accion; Access Florida Finance; BankUnited; BB&T; Busey Bank; C1 Bank; First Florida Integrity Bank; Fifth Third Bank; Florida Capital Bank; Florida Community Bank; IDS Corp.; One Source Business Capital; Small Business Lending; Marquette Commercial Finance; United Capital Funding and Wells Fargo Bank. Sponsorship opportunities are still available. Find out more about sponsorships and event registration at www.fsbdcswfl.org. The Southwest Florida Regional Technology Partnership (RTP) announces the award finalists for its Eighth Annual Awards Dinner. Finalists for the Transformation Award, for a business that has achieved success through implementation of IT to overcome a challenge are: Amerispec SWFL, 21st Century Oncology and Salus Care Florida. Finalists for the Innovention Award, given to a company that has invented or demonstrated an innovative and creative technology solution, are: Get Efficient, HyperTeam and REfindly. Finalists for the Women in Technology Award to recognize contributions made by women in technology through professional expertise and leadership are: Tracey Lanham with Hodges University; Brandie Duncan with Get Efficient; and Wendi Fowler with The Client Server. Finalists for the Partnership Award, which recognizes someone who has truly forwarded the mission of the organization are: Dr. Al Ball, Hodges University; William McDonough, McDonough Law Firm; and Jose Ruggero, Gartner. The Awards Gala is Wednesday, April 13, 2016 at Crowne Plaza, Bell Tower 13051 Bell Tower Drive, Fort Myers, FL 33907. Doors will open at 5:30 p.m. for networking. Tickets may be purchased online at swfrtp.org. Sponsored by Adecco, Chico’s FAS, 21st Century Oncology, CenturyLink and Landesk. "High Performance Teams" will be held at FGCU in Holmes Hall 406 and 433 at 6-8pm on September 2nd Wednesday. Rick Regueira, an agile coach will be speaking at the workshop. This event is sponsored by Fischer International. Any SWFRTP members are welcome to join.